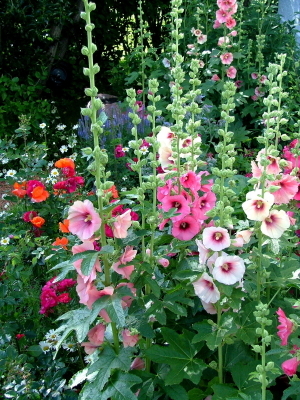 The classic hollyhock is a favorite perennial in New Mexico because of their tall stalks of large, colorful flowers and their ability to tolerate New Mexican soils and climate. They love full sun and look great along fences and walls as well as flower beds. 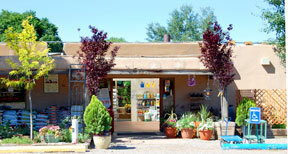 They need moderate water, but once established are drought tolerant. They self-sow prolifically, so to avoid volunteer seedlings, be sure to deadhead them regularly.